Like any kid growing up in an American secularized society, I liked the whole Halloween thing. I have a serious weakness for chocolate, so I always looked forward to going door to door to see how many chocolate treats I could get. Sure, there were horror stories about people sneaking razor blades into mini-candy bars, but I was willing to take the risk. As I got a little older, I would try to terrify the neighborhood kids by playing Pink Floyd’s Echoes album through my bedroom speakers out the window as costumed figures approached our house. Okay. I stopped that pretty quick when my mother learned about it and reprimanded me for making a few of the little kids cry. When I began to take my spiritual journey with Jesus Christ seriously in high school, I began to hear other types of horror stories about Halloween from my new church friends. There were tales about its connection to Satanism at worst, or perhaps just only a milder, yet just as bad, connection to Wiccan, Druid and other forms of pagan religions… and those “dreadful” Harry Potter books. I began to see a shift in evangelical churches away from celebrating “All Hallows Eve” towards things like having “Harvest Parties” or “Fall Festivals.” Well, I can surely appreciate the effort to shift the focus, but I am not so sure how successful it has been. Instead, I think if we really want to shift the focus away from the negative aspects of Halloween, then we should instead take a page or two from church history. 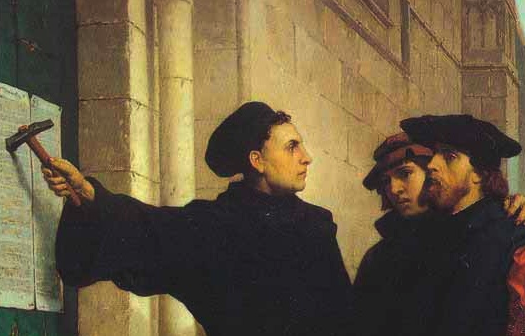 On October 31st, 1517, Martin Luther approached the door of the Wittenberg church with a list of his Ninety-Five Theses regarding abuses in the Roman church. What he nailed to the door of that church that day has forever changed the face of Western Christianity… and the whole world! Martin Luther had kicked started the Protestant Reformation, a movement that resulted in perhaps the greatest revival of spiritual vitality and love for the Scriptures that the world has ever seen. But Martin Luther’s Reformation belongs not just to Protestants. It belongs to the whole Christian church. Even those Roman Catholics who murmured about Luther must admit that change was necessary to correct some serious problems. It was through the efforts of people like Martin Luther that the Bible came to the common people in their native tongue, a privilege that most Christians today simply take for granted. It was also through the turmoil of the Reformation that made the Western world into what it is today, providing the intellectual and cultural incubator for the growth of modern science and capitalism. So even if someone is not a Christian, Luther’s Reformation has made an incredible impact upon world history. So, instead of getting all flustered about those trick or treaters coming to our doors to unwittingly fan the flames of pagan traditions, let us as believers consider a completely different approach, encouraging people to remember this day in world history, where one man with a hammer in hand and a powerful set of ideas birthed in Scripture changed the world. Let us celebrate Reformation Day! Do you have no idea what Luther’s Ninety-Theses were all about? Check out the following interview with Carl Trueman, professor of church history at Westminster Theological Seminary in Philadelphia. HT: Timothy George on First Things, and Andrew Wilson at Think. Okay, I really wanted the Kansas City Royals to win the World Series this year. It would have been a wonderful Cinderella story, but it was not to be. 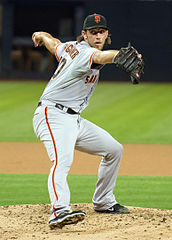 The Series belonged to a young pitcher for the San Francisco Giants, Madison Bumgarner. Wow. What a performance. Bumgarner shut out the Royals in game 5 and then in game 7 closed out the final innings without allowing a single score from the Royals. Baseball does not get any better than that. I did not know this before, but it turns out that Madison Bumgarner is also an evangelical Christian, according to an interview he gave about four years ago. As long as his stellar performance this past week does not go to his head, this extraordinary athlete will serve as an inspiring example to a generation of young baseball pitchers out there growing up in families all across the country. So, why did I title this blog post the “Bumgarner Blues?” Well, I am continually struck at how so many cultural celebrities from a Christian background who make the scene are athletes. Rarely do you find public intellectuals or respected spokespersons representing an evangelical point of view in the wider culture. Over the next week, you will surely see the lanky, dark curly haired figure of Madison Bumgarner graced over the pages of magazines and Internet websites. Well, great for him, great for the San Francisco Giants, and great for Christian believers for whom baseball is an important part of life. But when was the last time you saw someone like a C.S. Lewis, a Malcolm Muggeridge, or a Billy Graham hailed across the Internet media landscape? Who stands up to present the Gospel in such a persuasive way that others will thoughtfully listen to the message, even though they might respectfully decline to accept that message? 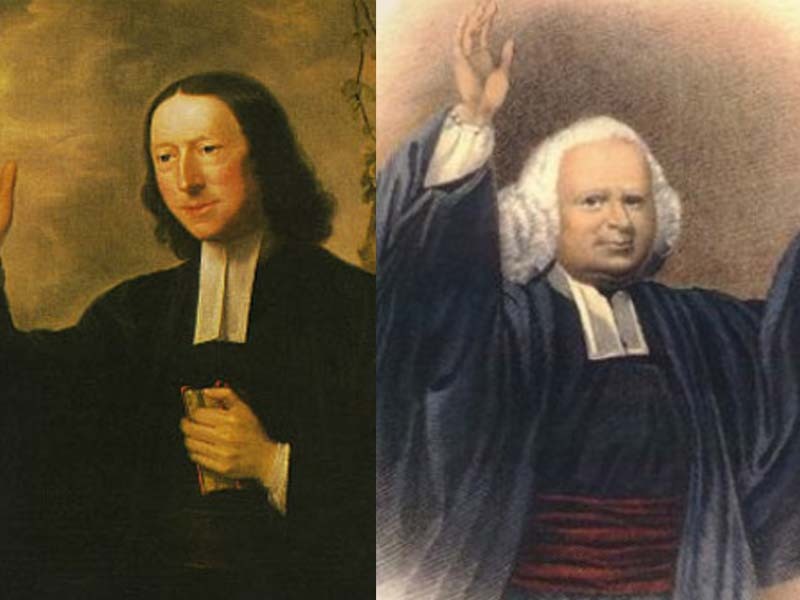 Why is it that great evangelical scholars like Daniel Wallace, Darrell Bock and Ben Witherington, or even prolific pastors like John Piper or Tim Keller, fail to register much of a bleep on the cultural landscape… even on Christian media? Aside from some moral scandal or political debate, about the only time you get a glimpse of an evangelical spokesperson is when someone tips over some line theologically, like a Rob Bell (to the left) or a John Hagee (to the right). Okay. I can think of one public intellectual or spokesperson over the past ten years who stands out as an exception: National Institutes of Health director Francis Collins. Can anybody think of others? Sure, you can probably find a number of reasons where blame can get assigned, such as perhaps a media bias of some sort. Okay, I get that. But I wonder if the trouble is not something within the church, too. Do we really value public thought for the sake of Christ, seeking earnestly to give a reason for the hope that we have in Jesus? It will take more than phenomenal baseball players like Madison Bumgarner to draw the world’s attention to the Savior. Where are the public intellectuals and spokespersons for the faith today? Christians believe that the Bible is the inspired word of God. 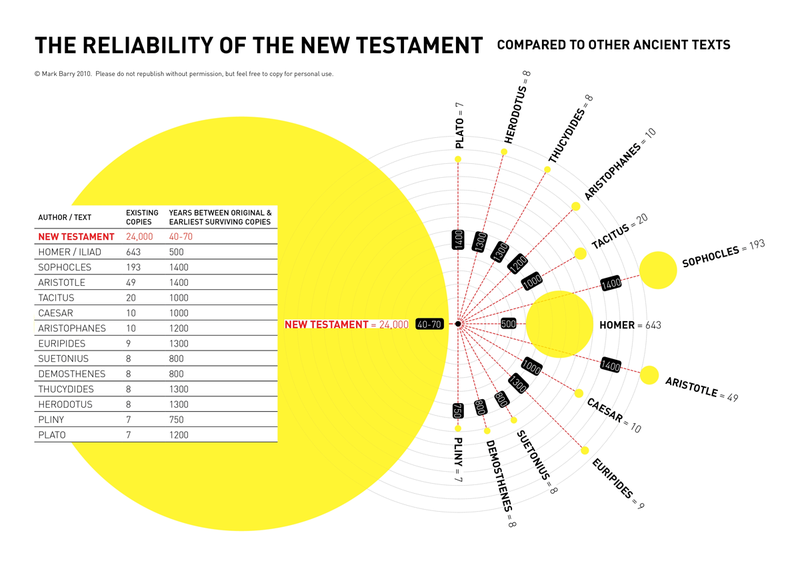 In this post—the second in our series entitled “How We Got the Bible“—we will explore what biblical inspiration really entails (and what it does not entail). The Bible itself claims to be the inspired, special revelation of the one true God. The Bible is completely unique. Not sure? OK, let’s make a list of all books that took over 1,500 years to complete. With parts dating back more than 3,500 years, in which the most recent contributions are 1,900 years old. Written by 40 or so authors who corroborate each other’s writings. Containing accurate historical accounts of ancient events that have shown up repeatedly in archaeology (don’t skip over the preceding hyperlink). Claiming to reveal the plan of a loving God for his creation. With massive amounts of self-deprecating text to condemn the authors. Predicting trouble and ostracism for those who live by its teaching. Containing specific prophecies, many of which have proven true over long periods of time. Dwarfing other ancient writings in terms of the number and quality of surviving manuscripts. How long is our list now? Drs. Norman Geisler and William Nix wrote a comprehensive text entitled From God To Us Revised and Expanded: How We Got Our Bible that begins with the topic of inspiration. This post will follow that text, which should be required reading for every Christian and student of the Bible. Is it even reasonable that an all-powerful and perfect God would inspire the writers of the Bible to produce a text containing errors? If God did not inspire the writing of the Bible, isn’t it just the product of human writers, and if that is the case why should we submit to its authority, teaching, and claims? There are lots of corollary questions, and your answers would reveal a great deal about your understanding of the Christian faith. But for now let’s take a cue from Geisler and Nix and start with the topic of biblical inspiration.